As a parent its more common to be investing in your children’s future well into there adulthood if they’re going to provide them with the best start in life. Alongside the cost of living, weddings and possible grandchildren, the two biggest and immediate concerns for most parents are university and housing, both of which have become more expensive than ever before. University can make an enormous difference in your children’s lives, higher levels of education result in higher earning power, in fact on average the benefits of a four-year degree are equivalent to an investment that returns 15.2% per year. A recent report summarised this by concluding the evidence is clear; that some form of postsecondary education is a necessary element of successful, independent lives for most people in today’s economy. However, financing university is expensive. Most parents who borrow to cover the costs, believe they’ll be repaying loans for over eight years if they don’t have savings. While 60 per cent of parents say, they intend to use savings to cover the costs of university. Becoming a property owner has also become more difficult, which is why first time buyers are becoming older and older. Recent studies have shown that some have to save for up to 24 years  to afford their first home. This is due to numerous factors including rising rents and low wage growth, especially when inflation is considered. Since 1969, house prices have increased almost 50 times over, while incomes have only grown around 30 times. This increased difficulty is why experts recommend saving earlier and planning better if you want to help your children financially. But it’s not always obvious how it is best to do that. 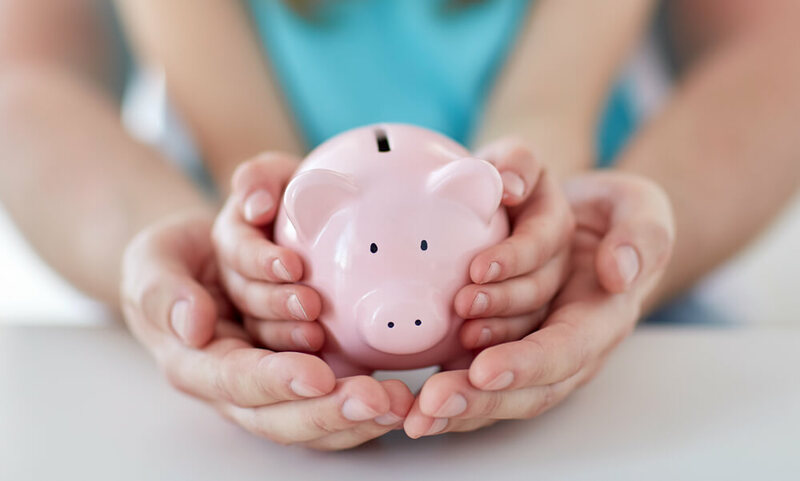 Some people set up savings plans which they pay into from their child’s birth. Saving through investment is a tried and tested way to plan for the future, studies have shown that investing in property actually provides the best return compared to other types of investment. When housing prices increase, investing in residential property can help hedge yourself in a way that other types of savings have difficulty matching. Rising house prices make investing in property seem unattainable for many. This is where property crowdfunding can help. With Brickowner you can start investing with as little as £100. Brickowner aims to source managers that are experts within their specific property subsector. People that invest through the Brickowner platform will receive any income and capital gain in proportion to the amount they invest. You can invest as little or as much as you want in different properties. Its possible to diversify your investments by investing in different properties on the platform. Having a diversified portfolio can help stabilise returns and spread any risk. Overall, if you want to invest in your children’s future, we believe you should be starting early. Einstein even called compound interest the 8th Wonder of the World. More information on the properties available on Brickowner can be found here. Resolution Foundation estimate using family Resources Survey, Halifax House Price Index and The Effect of Taxes and Benefits on Household Incomes.